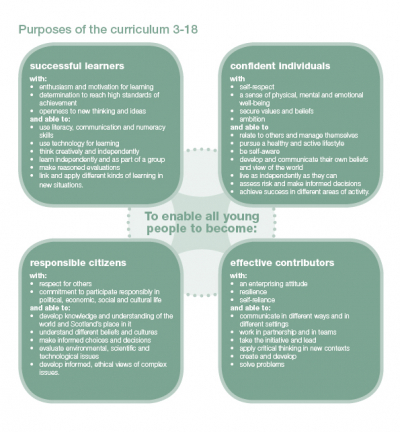 The Curriculum for Excellence is an educational framework for Scottish Schools. It is ‘intended to help children and young people gain the knowledge, skills and attributes needed for life in the 21st century, including skills for learning, life and work’. The curriculum focuses on children between the ages of 3 – 18. Drama is a useful creative medium that can be applied to any of the 8 curriculum areas as an effective pedagogical method. Licketyspit has successfully used drama and drama-led play to enhance literacy, vocabulary, storytelling, confidence, social skills, problem solving and emotional literacy. Licketyspit has a unique theatre in residence project called Storyplay Schools – where Licketyspit forms a long-lasting relationship with the school and school community, using drama and drama-led play to create culture of shared stories rooted in the aims of the Curriculum for Excellence, which complements the school’s ambitions and supports their work to address the poverty associated attainment gap. 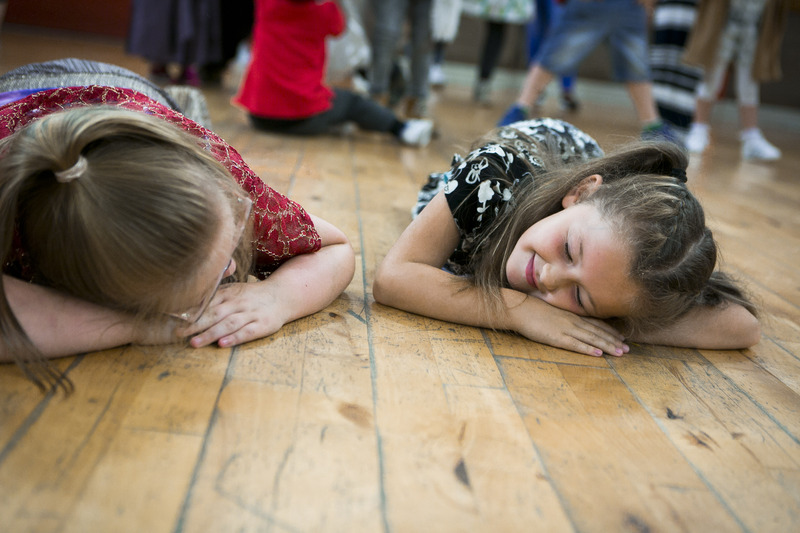 Licketyspit’s drama-led approach supports various different ways of learning, particularly for children who are physical, visual or social learners. This varied learning environment gives children the opportunity to achieve through different pedagogical methods. The variety of play methods used by Licketyspit i.e. imaginative play, games, songs, rhymes, can help support the learning styles described below. Physical – Physical or Kinestetic learners are those who learn by doing or visualizing the ‘doing’ of an activity. Drawing diagrams, using physical objects, or role playing are all strategies of the Physical learner. Aural – these learners prefer using sound and rhythm, recordings and rhymes similar to the following Verbal learners. Verbal – the learner prefers to use words to learn. This can be in the form of speaking (role play, dialogue, recording and playing back their own learning) and also in terms of writing, using word based techniques such as scripting and mnemonics. Visual – the learner prefers to use diagrams, mind maps and more creative, visually stimulating ways to learn. Solitary – the learner prefers to learn alone. Licketyspit regularly have Licketyspit Galleries in their sessions where children will respond creatively to the session by drawing a picture or creating a story. In the Licketyspit Gallery children are invited to stand in front of the class and talk about their work. Once they have finished they take a bow and the rest of the room give them a round of applause. The Licketyspit Gallery allows everyone to be a successful learner- and take a moment to enjoy their own success and the success of the other children in their class. Licketyspit use the ‘Child’s rights’ based approach addressed in Article 12 of the UN Convention on the Rights of the Child – that a child has the right to give their opinion and for adults to listen to them and take them seriously. This instils a sense of being nurtured, included and respected with all of the children we work with. Licketyspit’s games have moments for people to take a lead within the game and moments of one big group all doing something together. This allows both confident and shy children lots of moments to shine and a real sense of camaraderie for the whole class throughout- everybody takes delight and enjoyment from suggestions that are given in a game – regardless of who they come from. This nurtures young people who are confident about expressing their views and opinions as they can be sure that what they have to say will be respected and valued. Licketyspit is scrupulously fair in the way that we play, we believe that everyone should be included and everyone who plays with us does so as an equal. We don’t have any winners and losers in our games, we all just enjoy playing together. This way of playing fosters a culture of kindness between Licketyspit and the children we play with. This is how the children learn to play initially and it is how they go on playing the Licketyspit games, even when Licketyspit is not there. This model of play is then used by children in the way they play other games and affects the way they talk to and listen to one another. It lets children become the driving force of a kinder school community. By becoming active participants in the school community, it thereby equips children with the transferable skills they need to become the responsible citizens they want to be in their society of the future. 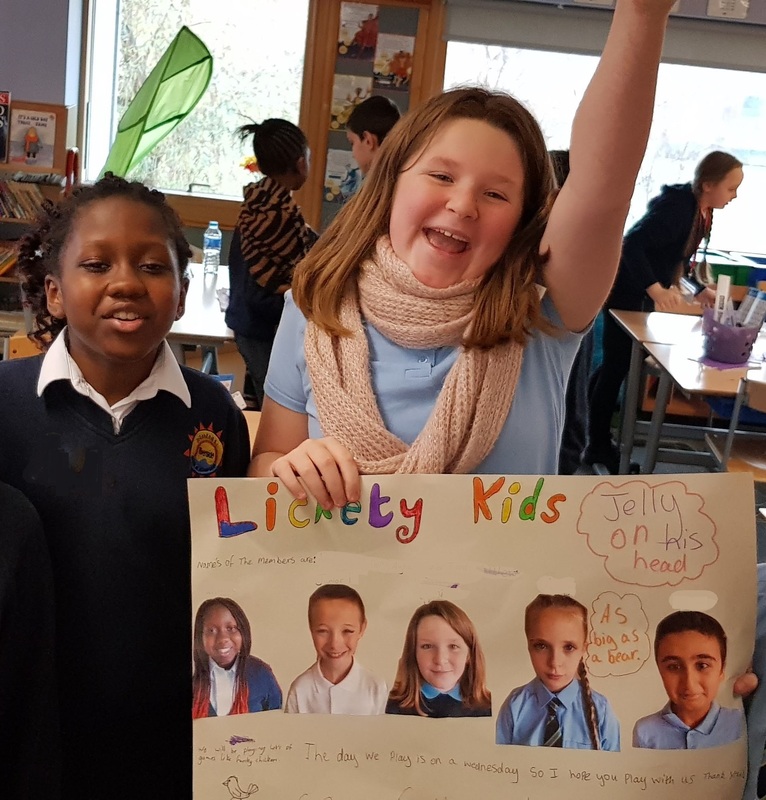 Licketyspit encourages children to lead and direct play with their peers, teachers and families, from a combination of shared understanding, mirroring positive behaviours and personal reflection. This encourages a growth mindset and engenders a sense of community belonging and responsibility. Licketyspit’s games are a catalyst for children. Once they have been played once, they are ready to be changed and developed by the children who are playing them. Children quickly become confident enough with our games that they are able to create their own rhyming verses, characters and stories in them, which they can, and do, share with the rest of their class. Children are able to contribute to the shared play in the class without feeling any pressure to do so, as they are more focused on the fun of the play. Ann Moore, Head Teacher, Canal View Primary School, Edinburgh.